I have been camping out in my work cave as of late. But I have a good reason. I am thrilled to announce my forthcoming book Edible Paradise from Rizzoli New York‘s Universe imprint! 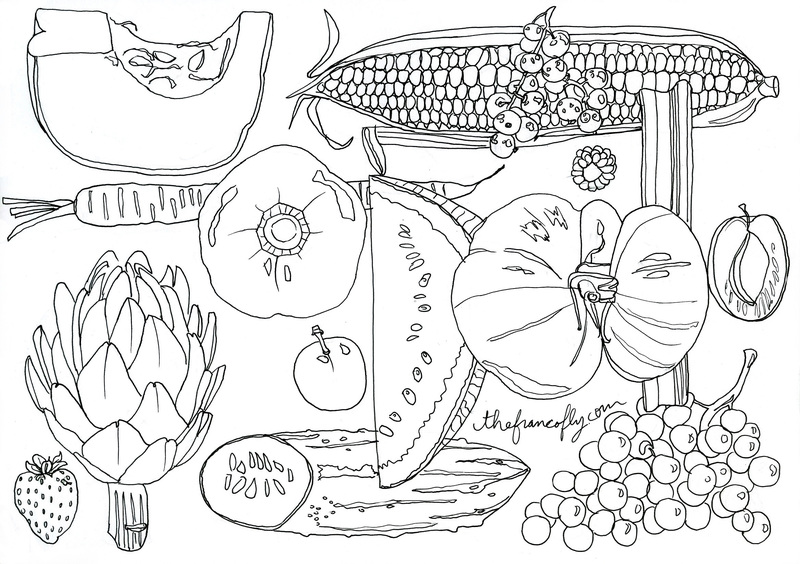 It’s a fully ripened coloring book of seasonal fruits and vegetables ready to be attacked with sharpened colored pencils. Edible Paradise will delight any curious foodie, green-thumbed enthusiast, broccoli-phobic child or anyone in need of unplugging and reconnecting with the edible plant world. Nevertheless, mark your calendar for the release, February 9th, 2016. Although it is always best to purchase Edible Paradise from a local bookstore, preorder a copy here on Amazon today. In the meantime, savor all the summer fruit and veg you can eat!